One of the most effective ways to slow down the aging process is to eliminate free radical damage. The ORAC Shake is designed to just that! It is a delicious and powerful antioxidant fruit smoothie designed to provide you with 4,000 ORAC units all in one serving. Get a large amount of antioxidants into your system to effectively fight free radical damage. Fuel your body with a good source of protein, carbohydrates, fiber and nutrients so that you have consistent energy over a long period of time. 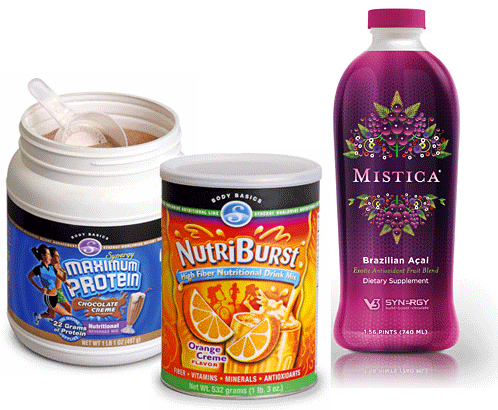 Help with weight management so that you can keep fat off your frame while properly supporting your muscle tissue. Now, before I show you The ORAC Shake let me briefly review what ORAC means. If you saw my YouTube video The Power of ORAC you know that ORAC is an acronym for Oxygen Racial Absorbance Capacity. That’s just a fancy why of measuring how effective a food is in delivering much needed antioxidants to help your body fight free radical damage. Fruits and vegetables can be powerful sources of antioxidants. It’s why nutritionists want us to eat 5-8 servings per day. However, if you understand The Power of ORAC and how to apply it you can cut down on the number of servings. Currently, the United States Department of Agriculture recommends a diet of fruits and vegetables that will allow you to consume somewhere between 3,000 to 5,000 ORAC units per day. My ORAC Shake will give you 4,000 ORAC units and do it all in one serving! By clicking on the picture to the right you can watch my YouTube video that explains how I effectively fuel my body each and every day with a delicious and powerful antioxidant fruit smoothie. 2 Ice Cubes – I like my shake cold and thick. I pour all these ingredients in a blender and blend for about 30 seconds. I never get tired of its taste. The following chart provides a nutritional comparison! *price includes a large black coffee! The ORAC Shake is only 316 calories where as the McDonald’s Sausage McMuffin with Egg comes in at 450 calories and the Dunkin Donuts Blueberry Muffin is even higher at 490 calories. I save myself 134 to 174 calories which is significant when you understand that most people are only 250 calories away from either stopping their weight gain or losing weight. The ORAC Shake has only 2.6 grams of fat where as the McDonald’s breakfast has 27 grams of fat and the blueberry muffin has 17 grams of fat. I’m saving myself approximately 14 to 24 grams of fat. The ORAC Shake has 21.5 grams of protein. The McDonald’s breakfast meal is almost the same at 21 grams but the blueberry muffin is significantly less at only 8 grams of protein. The ORAC Shake has 10.5 grams of fiber where as the other two choices only have 2 grams of fiber. This gives me approximately 40% of my fiber intake for the day. The ORAC Shake costs me about a dollar more but it provides me with a nutritional level far greater than these other two alternatives. It protects me from Free Radical Damage. It gives me 4000 ORAC Units so that I don’t have to worry about eating 5-8 servings of fruits and vegetables. That alone saves me money! It gives me good, consistent energy over a long period of time. It usually lasts me between 5 to 6 hours before I begin to get hungry. It’s a great weight management tool. And, it’s absolutely delicious so I never get tired of it! Just click on the “Order Now” buttons below and it will take you to the shopping cart where you can order either a 25 Day Supply for a 50 Day Supply. I’ve made special arrangements with Synergy WorldWide which will allow you to order these products at the wholesale cost. This is a 25% savings off of the retail price! *US zip codes only – International order need to contact me first! 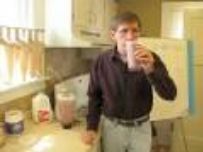 I believe The ORAC Shake is one of the most effective ways to fight free radical damage while properly supporting the nutritional needs of your body. Plus, it will brighten your day, enhance your energy, improve your overall health and wellness, and can be an effective weight management tool!